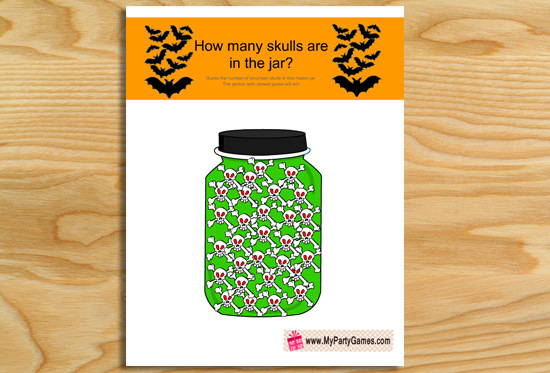 Here is a very interesting free printable Halloween game called ‘How many Skulls are in the Jar?’ . 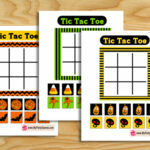 You can play this game with your family, in classrooms and in your Halloween party. I am sharing png image for this game. You can click on the thumbnail of this game and a bigger image will open up. You should right click and save that image. 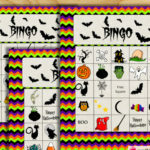 This game can be printed using a home printer or any other printer. 1, Take a print out of this game card and show it to your friends, family or party guests for a few seconds. 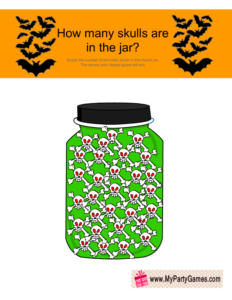 Ask them to guess the number of skulls in the jar and write that number on a piece of paper. The person whose guess is closest to the actual number will be the winner. 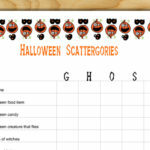 2, Take print outs of this game according to the number of your Halloween party guests or family members. 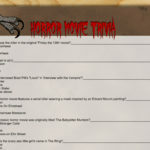 Give the printed game sheet to them along with a pen or pencil and ask them to write down the number of skulls in the jar on that sheet along with their names within 15 seconds. 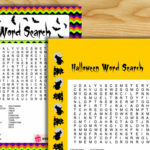 Collect all sheets and check what have the guessed. The person whose guess will be the closest to the actual number will be the winner. 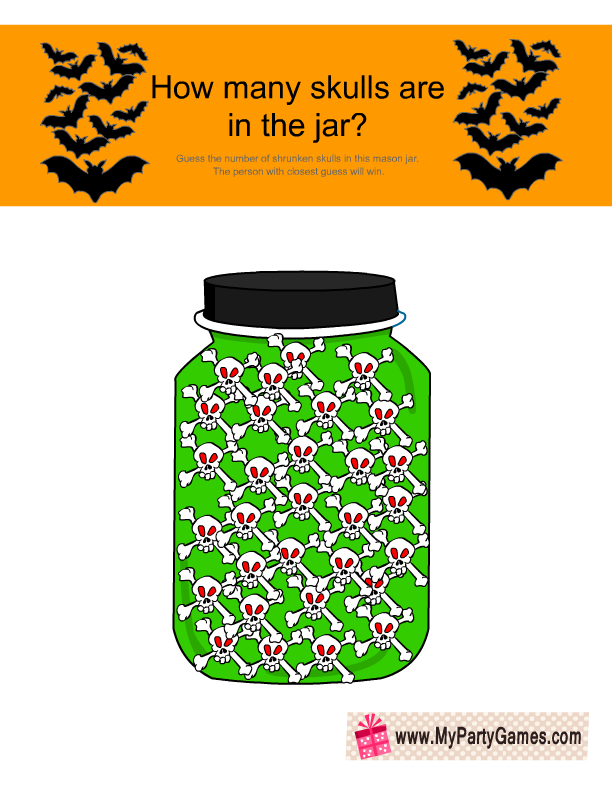 There are 29 skulls in the jar. 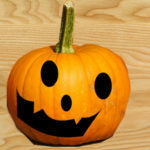 Click on the image above and a bigger image will open up, just right click and save that image to your computer. 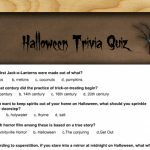 If you like my Halloween party games then leave a comment below. 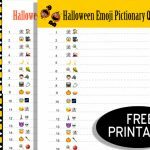 If you have some games ideas that can be played using free printables, then please share those ideas with me as well.